Passover begins the evening of Friday, April 19, 2019 and ends the evening of Saturday, April 27, 2019. 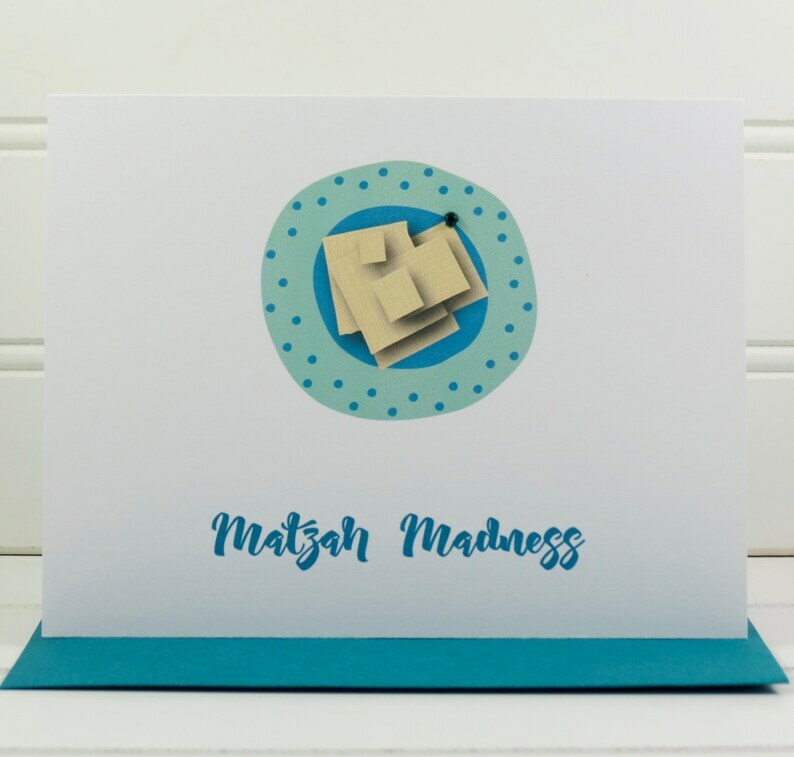 This whimsical Matzah Madness Passover card is perfect to give to someone who celebrates the Jewish holiday. This card can be fully customized and personalized at no extra charge and also includes a free matching colored envelope, round envelope seal, and a U.S. Forever postage stamp. On the front of the card, there is an illustration of a plate of matzah crackers. The message beneath the illustration says "Matzah Madness". The message on the inside of the card says "Happy Passover". The card measures 4.25” x 5.5” when folded.